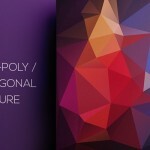 In recent years, much has changed in the way web users interact with dashboard data and complete simple backend tasks. 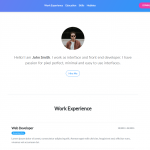 Layouts are more spacious and mobile-friendly, colors are simpler, typography is highly-readable, interactive charts make data much easier to digest, and advancements in technology have made completing tasks much quicker. 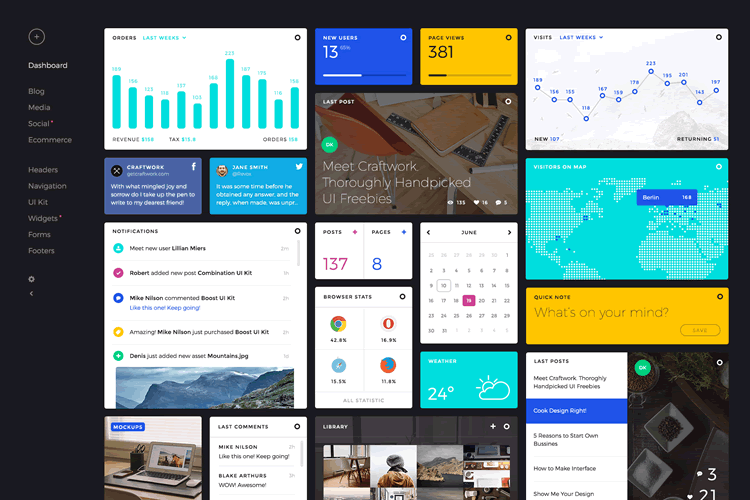 The admin panels of 2016 are setting a high usability standard and raising the bar in creative interaction design. 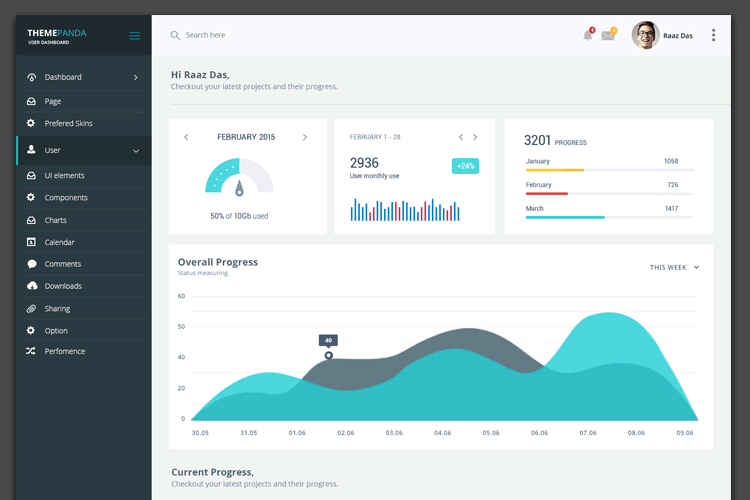 If you’re looking for HTML and CSS dashboard templates, you might like to take a look at these Bootstrap-powered Dashboard templates. 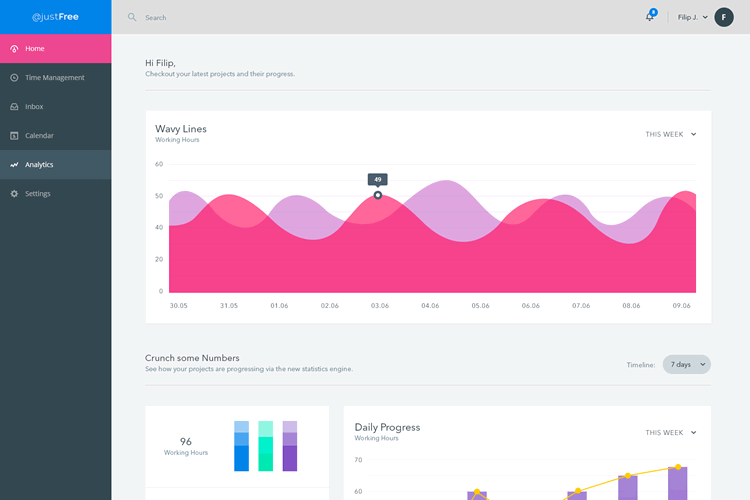 Or, if you’re looking for some admin panel design inspiration, try this post. 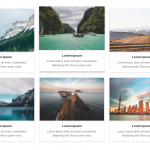 But if you’re looking for dashboard templates in PSD or Sketch formats, then stick around, this is the collection for you! 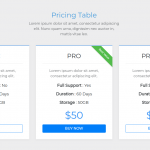 All of the below dashboard templates are free to download and use (check the license, though, they do sometimes change), and are available in either Photoshop or Sketch formats. 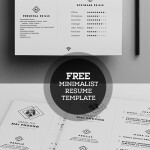 Hopefully, they will give you some fresh ideas for your own designs. 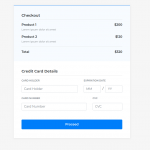 Buvud eCommerce Dashboard UI/UX Kit (PSD) Designed by Anton Kalik. 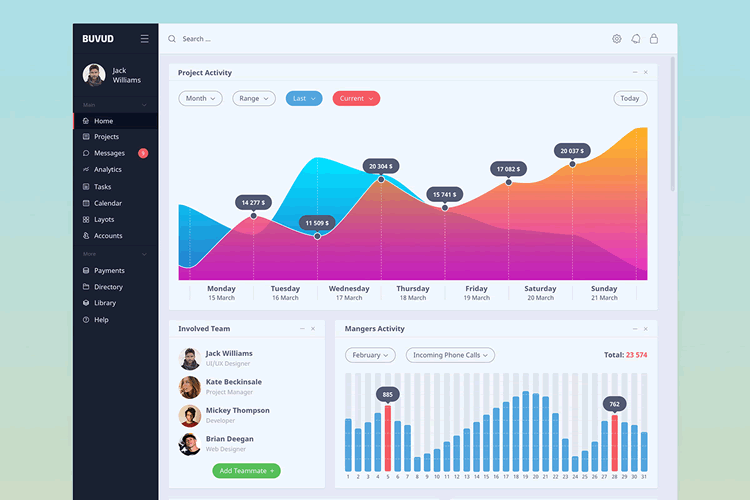 Flat Course Admin Dashboard (Skectch) Designed by Hoang Nguyen. 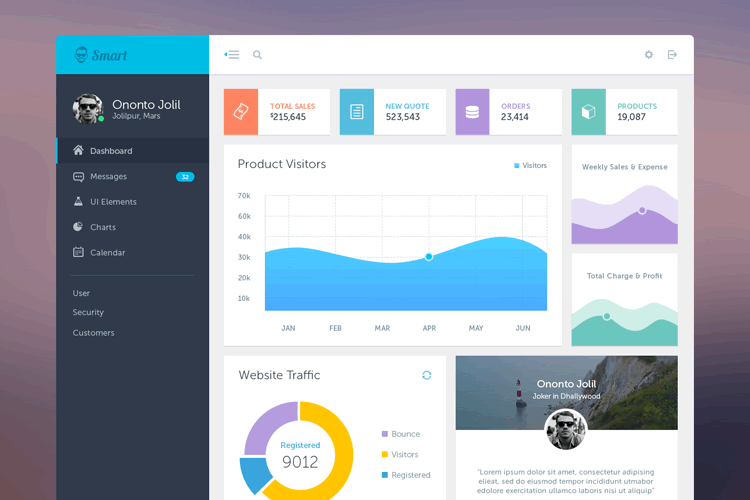 Admin Dashboard Free Template (PSD) Designed by Aaron Sananes. 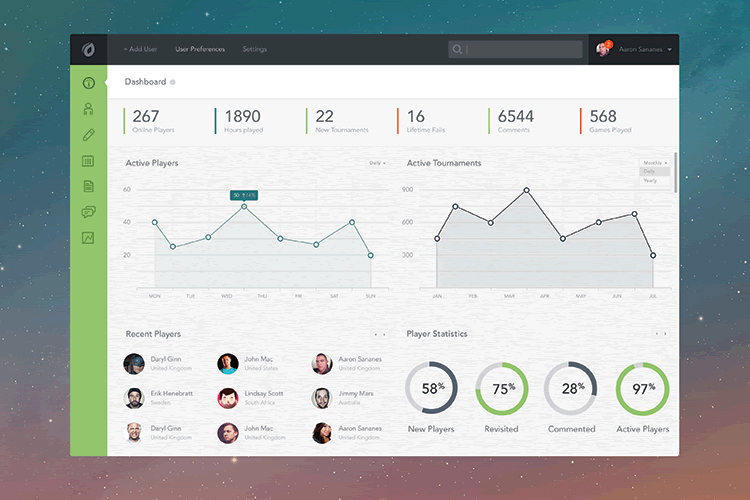 ThemePanda Responsive Dashboard Design (PSD) Designed by Raaz Das. 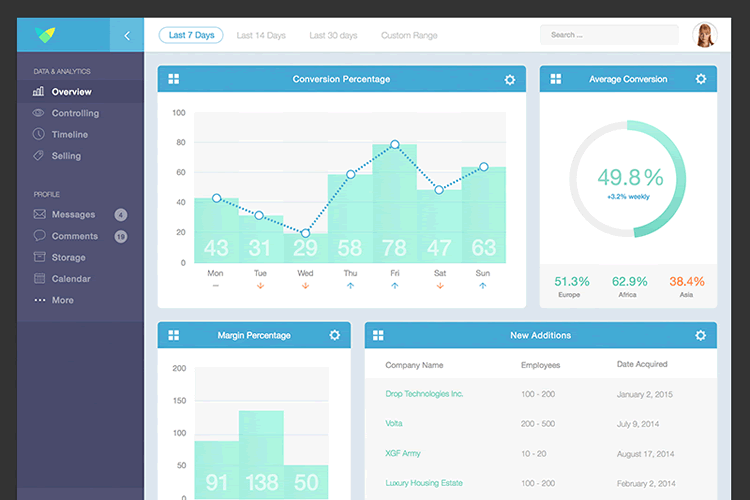 Smart Admin Dashboard UI (PSD) Designed by Mushfiq. 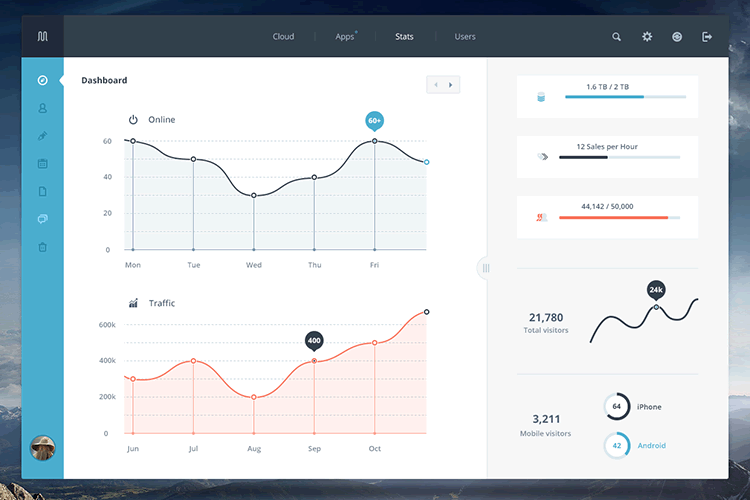 Dashboard Freebie (Sketch) Designed by Ante Matijaca. 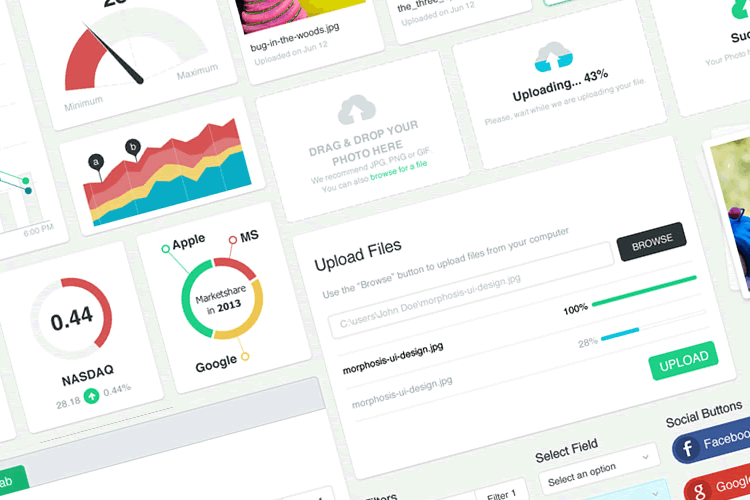 Morph-UI Flat Dashboard UI Kit (PNG & PSD) Designed by Morphosis. 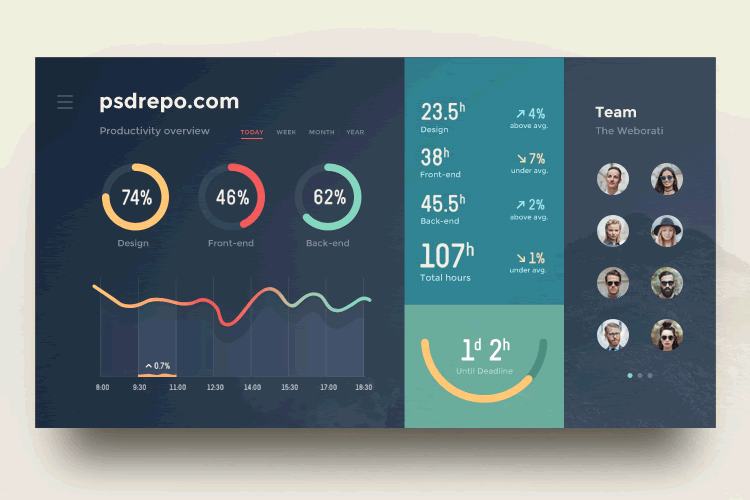 Analytics Dashboard UI Kit (PSD) Designed by Balkan Brothers. 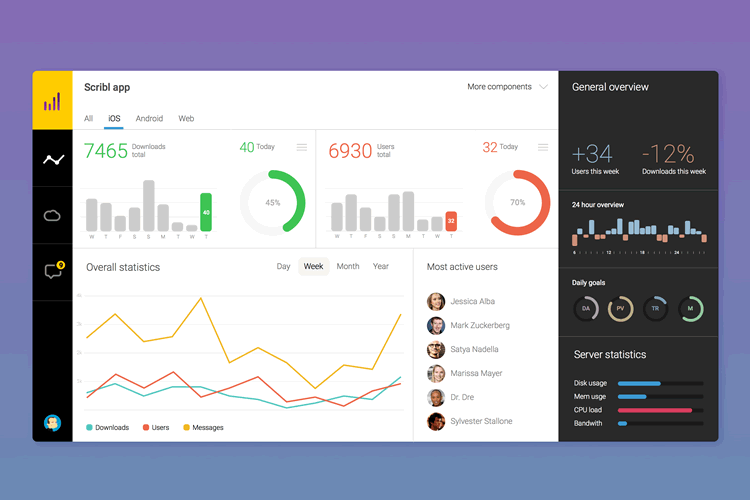 Admin Dashboard UI Freebie (PSD & Sketch) Designed by Sergiu Firez. 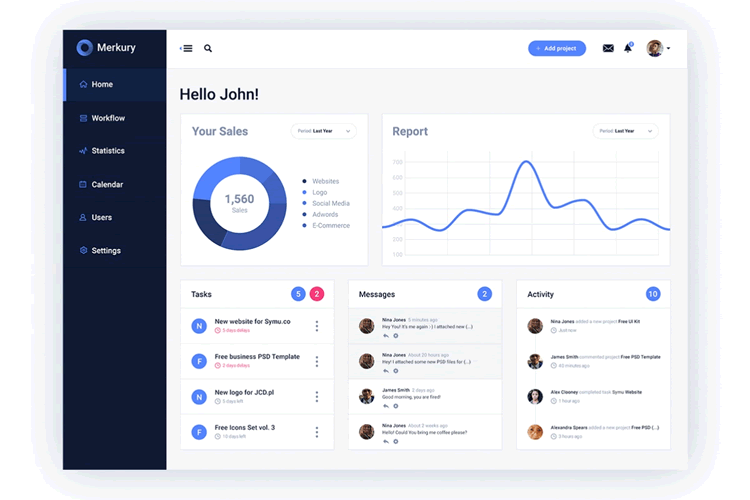 Clean Dashboard (Sketch) Designed by Padam Boora. Data Analytics Dasboard (Sketch) Designed by Tonda Kus. 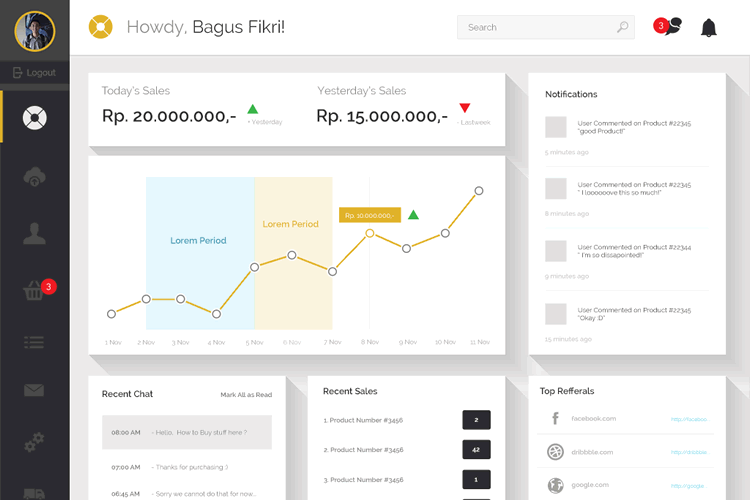 eCommerce Dashboard Admin (PSD) Designed by Bagus Fikri. 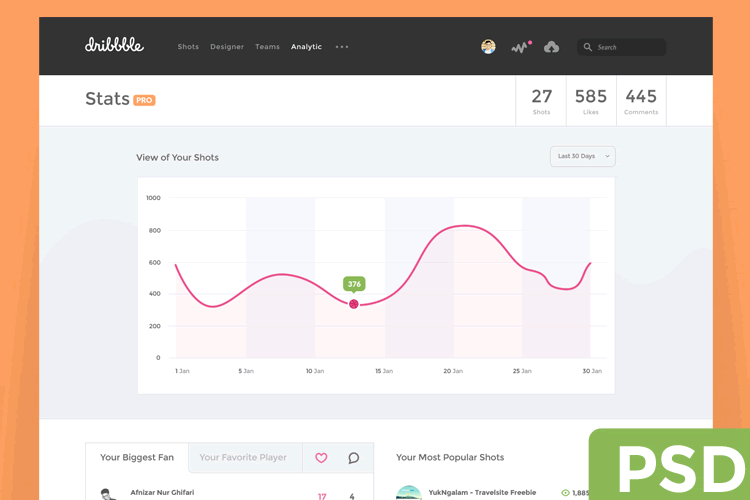 Dribbble Stats Dashboard (PSD) Designed by Dany Rizky. Merkury Dashboard Template (PSD) Designed by Symu. 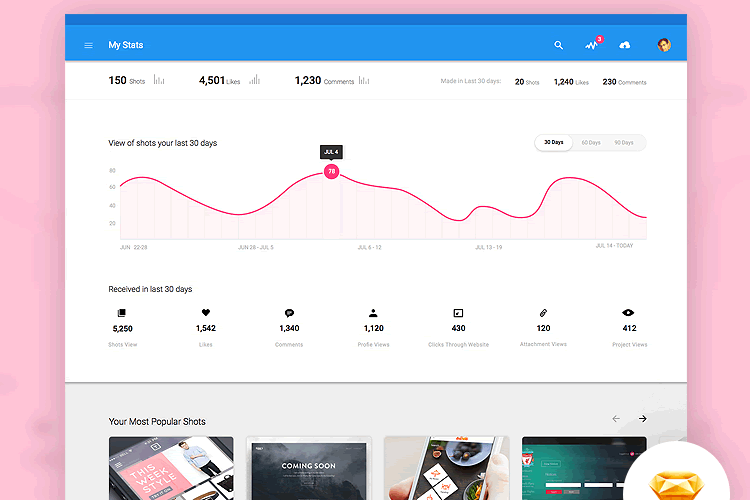 FokiraDash Dashboard UI Template (PSD) Designed by Eftakher Alam. 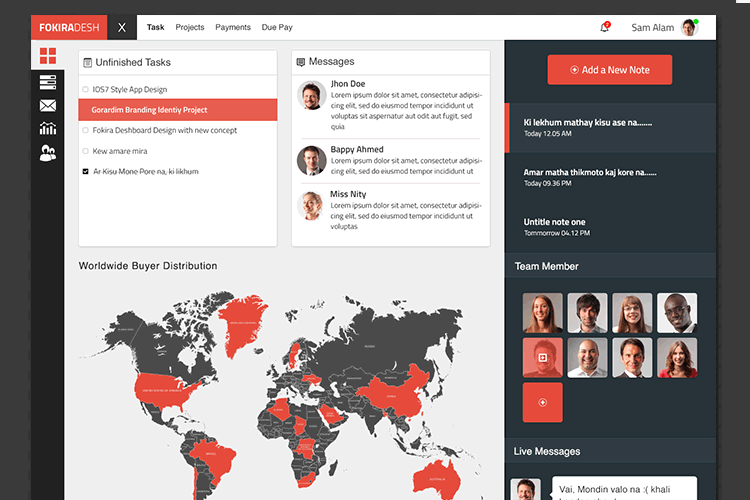 Dashboard UI Elements (PSD) Designed by Craftwork. 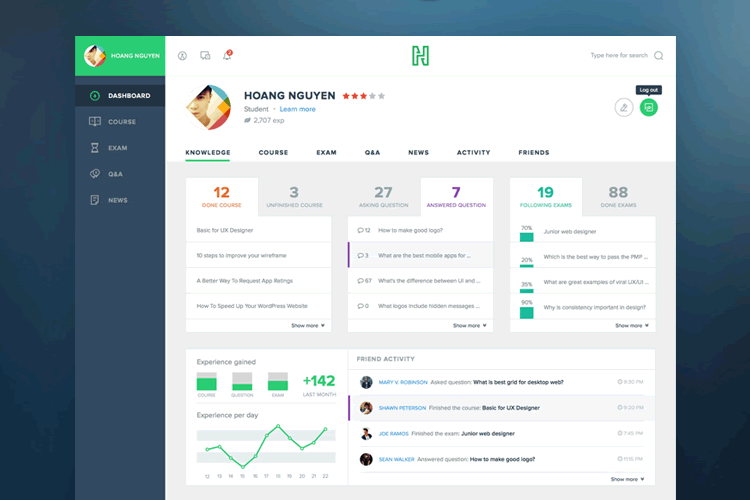 Free Dashboard (PSD) Designed by Malte Westedt.